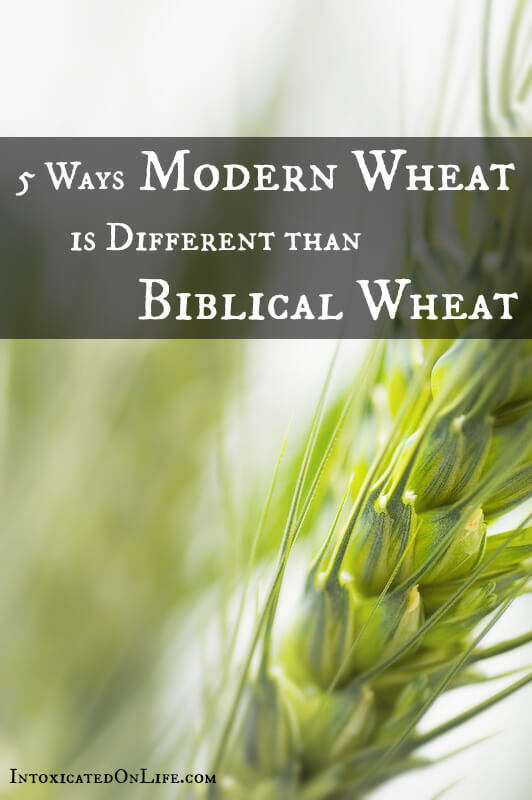 Nothing is inherently wrong with this desire, but when it comes to wheat, it is helpful to know just how much it has changed over the centuries, and especially since the beginning of the 1950s. Cultivating grain has always involved a process of breeding and creating hybrids in order to produce the best yield, but in the latter part of the twentieth century this process has become very industrialized. Modern wheat has undergone great changes. When compared with strains of wheat that are centuries old, modern wheat has many more gluten proteins because all the hybridization that has taken place. Many of these brand new gluten proteins are associated with today’s gluten sensitivities, such as celiac disease. In the last 50 years, there has been a 400% increase in the prevalence of celiac disease. Gluten allergies are also much more common now than 50 years ago. The mineral content of harvested wheat grains has decreased. Because modern wheat has shorter stalks, less sun, and shallower roots systems, it is deficient in many vitamins and minerals. Modern wheat is lower in minerals like zinc, magnesium, iron, copper, and selenium than its ancient ancestor. In order to help crops become more resistant to disease, they are exposed to high doses of gamma and microwave radiation. This isn’t considered genetic modification, but is called “mutation breeding.” Because this changes the molecular structure of the crop, doctors are concerned that this is creating carcinogens and toxic chemicals, and causing infertility, kidney damage, and changes the nutritional value of food. Some doctors and scientists have petitioned the government to halt food irradiation. Most of the wheat produced today uses some type of pesticide. Of the 16 pesticides used on wheat, the most common type of pesticide used is Malathion, which is used on nearly 50% of all wheat. Malathion is called a “neurotoxin” and when ingested can screw up the hormones in our bodies. 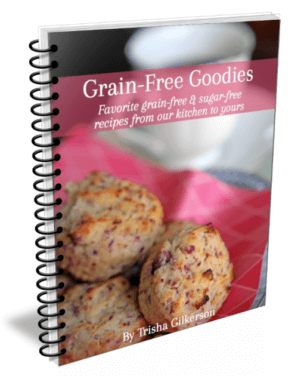 When our family went wheat-free, we had many questions from friends and family. 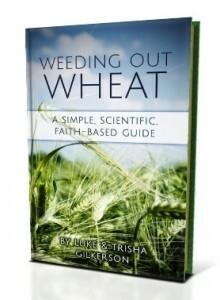 This is the heart behind our book, Weeding Out Wheat. 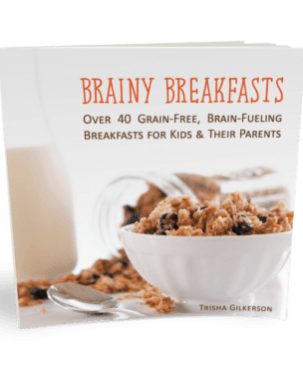 In the book you’ll learn more about the harmful effects of wheat on the body based on current medical research. You’ll also learn about how, as Christians, we’ve reconciled our wheat-free lifestyles while reading a bread-filled Bible. Buy it in our store (PDF) for $9.95. You can also buy it on Amazon (Kindle) and paperback. I have heard different things about this from others. Can you please cite your sources for the information above. Specifically #3 – and can you explain the difference between wheat grown in the US, which based on another speaker states this is an untruth and that the US Wheat farmers in America have fought against this explanation you have stated because they are the Number 1 Wheat growers in the world and if that statement is true, they would lose their edge. But, I do understand wheat was mutated to grow in countries that could not grow he larger wheat stalks so a new shorter version was bread. There are so many things going around about wheat, I just really like knowing where facts and statements are from before I make my own decisions. Thanks! I can’t wait to hear back about your sources. US wheat is NOT genetically engineered (that may be what you are thinking). You can read more about what genetic engineering is here. The FDA OK’d irradiation of wheat way back in the 60’s and the vast majority of wheat has been irradiated. In fact, a lot of food is irradiated – like a lot of grocery store meats. Another good reason to buy your meat straight from the farmer. We have LOTS of sources in our book (123 sources to be exact). You may find these expert testimonies at a US Congressional hearing on food irradiation interesting. Really, if you want sources on irradiation of wheat in the US, just do a simple google search or a “google scholar” search and you’ll come up with all sorts of sources talking about irradiation of wheat. I believe it’s something like 90%+ of the world’s wheat crop is of this short, low-nutrient, dwarf variety. I would have to look into my sources as I don’t remember the exact percentage off the top of my head. Thank you for this. That makes sense and I will definitely do more research as you have suggested. 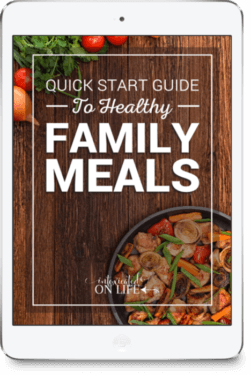 I’m always looking to increase the health of our family – both by making sure what we put into our minds and bodies makes sense. I’m always hesitant to jump on the ‘don’t eat this’ band wagons because truly – nothing is the same as it was in the garden of Eden. The fall eradicated the ‘good’ stuff and we are stuck with what we have today. I am guessing you could probably go as far as saying – vegetables, fruit, meat (as you have mentioned – which we do not purchase from grocery stores) and even water are not the same. Everything is infested with something – even people’s showers place chemical toxins in their lungs as the chlorine and fluoride are heated and thus become toxic – and placed directly into their lungs while showering or bathing – but we hear more about smoking than we do the side effects of trying to maintain clean bodies. The recent attacks on wheat – even those who purchase organic wheat and grind it in their homes are under attack – have me weary, very weary. My home has been the healthiest for the past three years that we have gone that route and ensured we have good, clean water in our home. We fall short in some ways and can’t fully afford all that we would like to do. But, the attack on wheat, the product God uses throughout the Bible and had stored up to save the nation of Israel has me weary of the attack on the Bible it’s self…maybe I’m reaching. But, I think we all need to be aware, if we say one thing is not the same as it was in ‘Biblical days’ we need to be aware, that truly no food is. But, to eliminate an entire food from our system can lead to other, more serious complications. And, I can’t help but wonder (and I think you have written about vaccinations – I can’t fully remember) the impact that medications are having on our bodies. The only allergies I truly have – are against medicines my body was inundated with during my first pregnancy to save my oldest child’s life. If I had to do it again, I would. He’s here and he’s healthy. But, I know my own body has suffered the consequences and his may as well…but, no full evidence yet. Again, thanks for this – loving the dialogue. Thanks for your thoughts on this. In our book, Weeding Out Wheat, we address this issue head on. 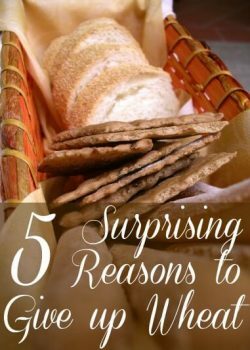 How can a Christian refuse to use wheat (and recommend others do the same) if the Bible is filled with references to wheat and bread as blessings? This is a great question that had both my wife and I confused when we felt like going wheat-free was for us. 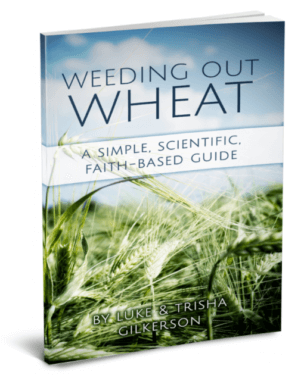 In fact, it was one of the main motivations for writing the book: after researching it, we wanted Christians to know that wheat-free living isn’t at all inconsistent with honoring God’s word. Long story short: Provision does not equal obligation. Many things in the Bible are labeled as God’s provisions and blessings (and wheat is most certainly something God has provided), but the mere fact that God has provided it does not require a Christian to eat it. We have to distinguish between things that are commanded and things that are merely provided. Our decision to go wheat-free is motivated by health reasons. At the same time, someone who choose to grind their own wheat is also likely motivated to live healthier, and this is a motive I can wholeheartedly endorse. God wants us to take care of the temple of His Spirit. First of all… congrats for being an example of things all should be doing in their homes for health. On the issue of wheat, well, the wheat used many years (generations ago) is not the same that is produced today. Generations ago wheat was 5-6 feet in height and took months to harvest. Now wheat is mutated. It grows only a few feet and is not alloted time to harvest to maturity. It is grown short and not nutritionally fit for human (or animal consumption). It was trained to grow fast. It was a wonderful way to grow crops to feed the hungry in the ’80’s….. however, never tested on animals or humans for safety. It turns out, today’s wheat is harmful to those with gluten sensitivity, gluten intolerance, and the general public. 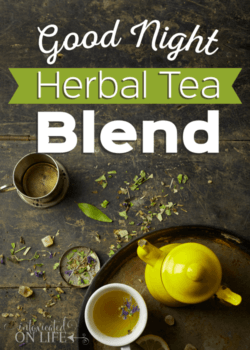 The body has no idea what to do with it when ingested so it displays outwardly as acne, rashes, memory changes, weight problems, cravings…. etc… Gluten needs to be decreased from our diets. Period. Thanks, Teresa. Yes. A lot of what you’re saying is in our book on this subject. Yes North American wheat is GMO! The FDA is bought out by the industry specifically Monsanto and so is the government! I am gluten intolerant! 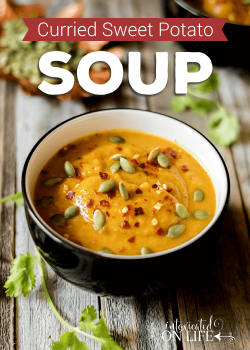 My illnesses have gone away since changing my diet and getting rid of wheat! I know all to well about the healthy impact going wheat free can make! I prayed about it and did my research before going gluten free! Thank you Luke for sharing! Please don’t confuse them with facts. Our family has just started looking into this. Thank you for sharing what you’ve learned! Try spelt. Spelt is not hydrid. I am a Christian and have been troubled that I m quite ill after conventional wheat plus it puts terrible weight on me. However, latterly I have found I am fine with Biblical grains such as spelt, millet and flax! I make bread from these and digest them normally. Modern wheat has been tampered with, affecting some people more than others. Can you share some sources regarding radiation of wheat? I’ve never heard this claim before. Thanks. This article on atomic gardens offers a good historical overview.